Tropical Flavor Bear Chocolate is rich with love.He is your classic adorable teddy bear. Fluffy and soft! Send your clients a furry friend stuffed toy they'll love. 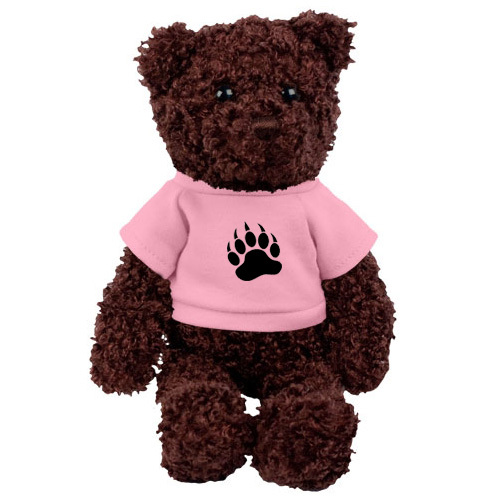 Customize this cuddly bear with your favorite color T-shirt to make him your own. This plush bear is a great gift for most occasions or events. You can even send this fluffy teddy for the holidays too. (Overall Size) 10" (Sitting) 6"
Bulk / 26 lbs / 48 pcs.